Tony will share some of his working methods in this workshop, concentrating on painting land & seascapes that are filled with colour and light. We will explore the use of direct strokes on a textured surface to emphasize ‘brushwork’. We will learn how to simplify our approach to achieve exciting impressionistic paintings. This workshop is for those willing to go through the door marked ‘leaving the comfort zone’ and enter a world of exciting and expressive pastel application! We will experiment ways to introduce colour and light into our work. This workshop is designed for those wanting to speed up and become less tight in their work. Each day will start with a demonstration with heaps of challenges and loads of individual help at the easel. 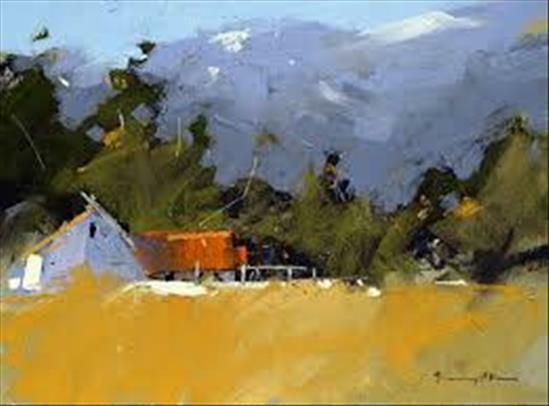 A prolific painter and teacher, Tony has gained many awards in juried competitions and exhibitions. Tony is a sought after workshop instructor and his work has been represented throughout the country and beyond. His paintings are in private and corporate collections around the world including, England, USA, Australia, New Zealand, France. Tony is a member of the Pastel Society UK, a Signature Member of the Pastel Society of America, A Master Circle Member of the International Association of Pastel Societies and a Master of The Pastel Artists of New Zealand. He has been painting for over forty five years. 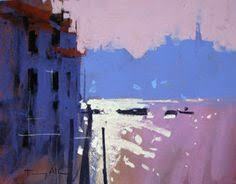 He is an impressionist pastel painter of light and movement, with a complete understanding of his surroundings. Tony has made is home in Cornwall and travels extensively throughout the United States and Europe teaching painting workshops.